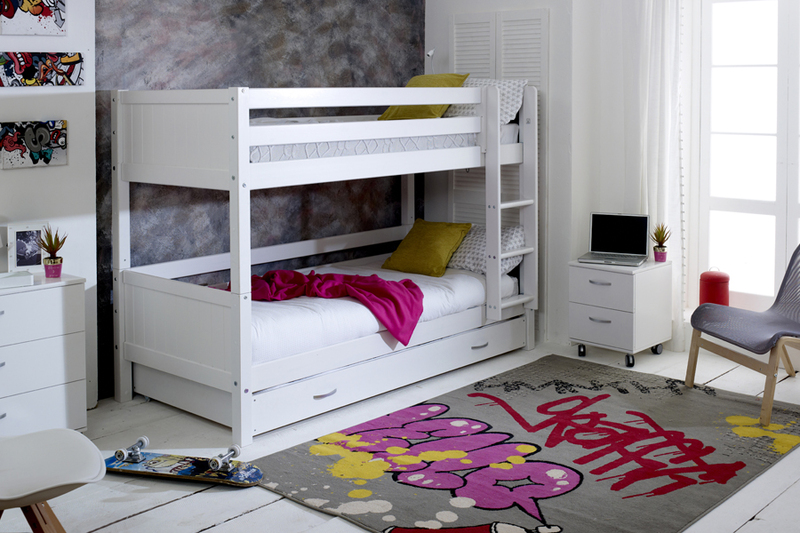 A fabulous bunk bed with brilliant features that will look great in any bedroom. 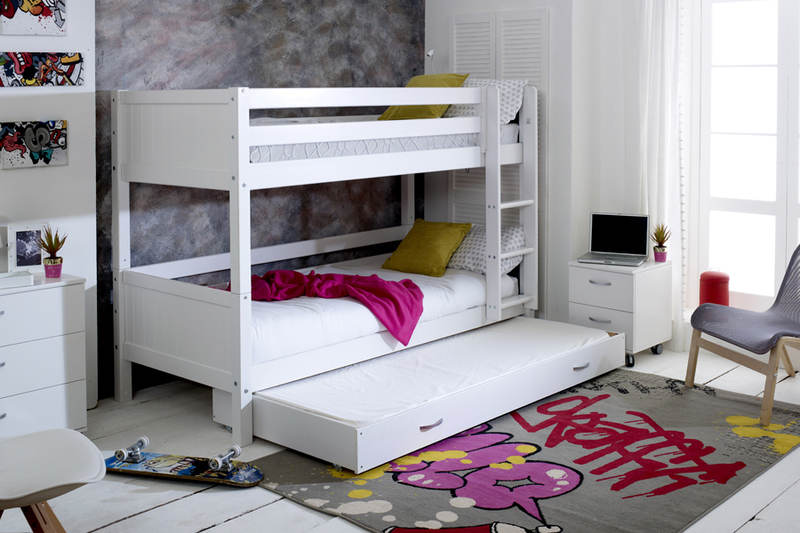 With it’s stunning grooved end panels, storage and sleep over space, build and appearance this bed is just delightful. Made from a solid Scandinavian pine it’s robust and sturdy which will last for many years to come. 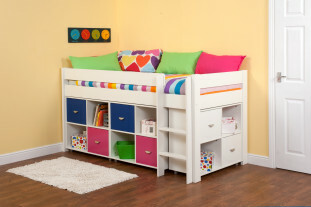 Add a trundle mattress to this bed for the trundle drawer for sleepovers and occasional use. * Straight ladder can be built to the Left or Right.